This new backpack is a special order. 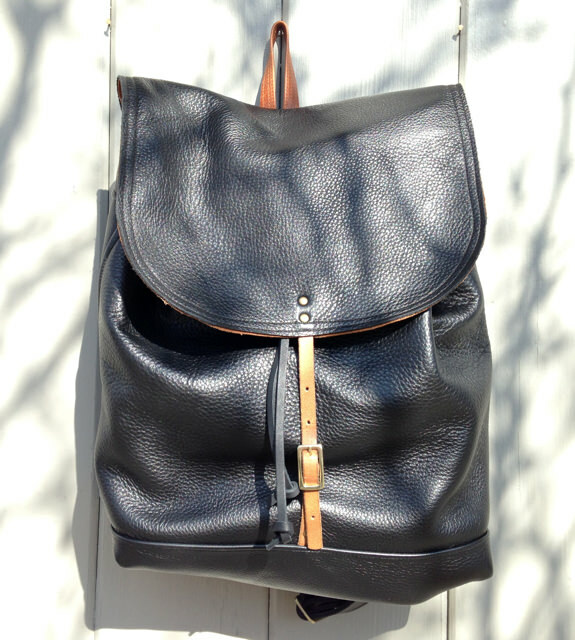 It is the larger version of the 1510 backpack that you can see here and here. 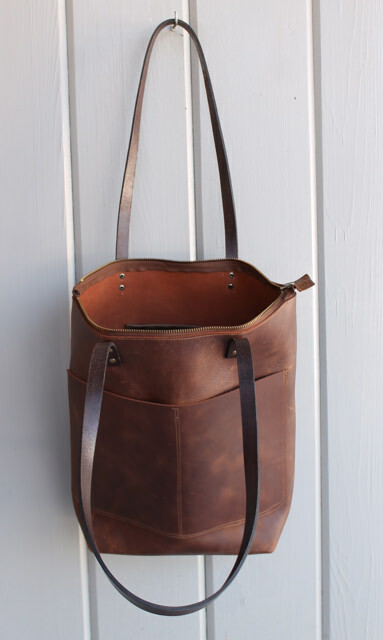 This large size is designed to carry a laptop as well as your other essentials. 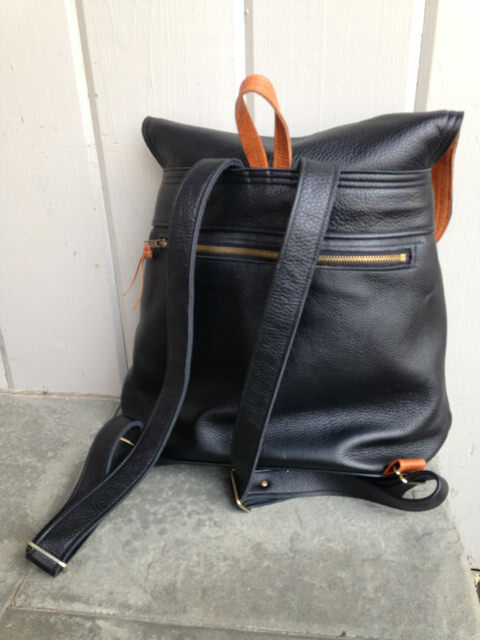 Constructed of pebbly black leather with caramel leather trim, it is a heavy-duty, go-everywhere pack. It is dressy enough to take to an evening function, large enough to take as a carry-on for your next trip, and a great everyday pack for work or school. There is a wide zipper pocket on the back (completely secure when you are wearing the pack) and a large canvas sleeve inside as well as a leather phone pocket. It has a draw-string leather closure and a vintage leather strap with buckle. 17″ wide, 15″ tall with a base of 5.5″. 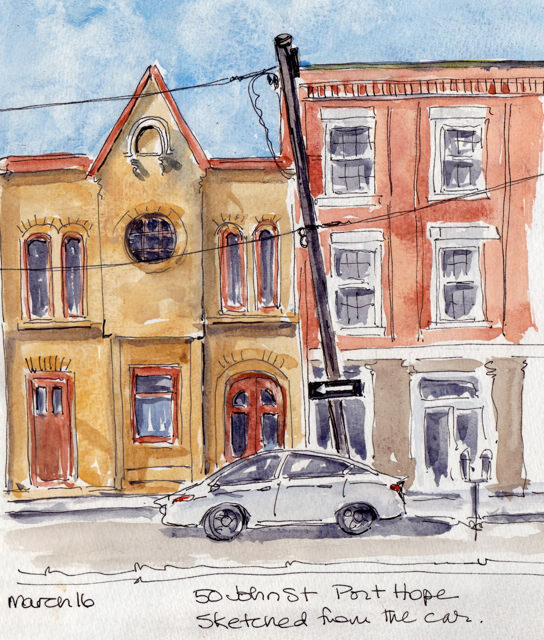 I was away last week and managed to do two sketches in small towns– the first on John Street in Port Hope. I was sitting in my car in a parking lot across the street sketching when a car pulled into a spot between me and the street, blocking much of my view. In one of those coincidences which seem to happen more when you sketch, the car owner turned out to be a former student who happily moved his car! The yellow building, from 1876, had been recently restored and was glowing in the sunlight. 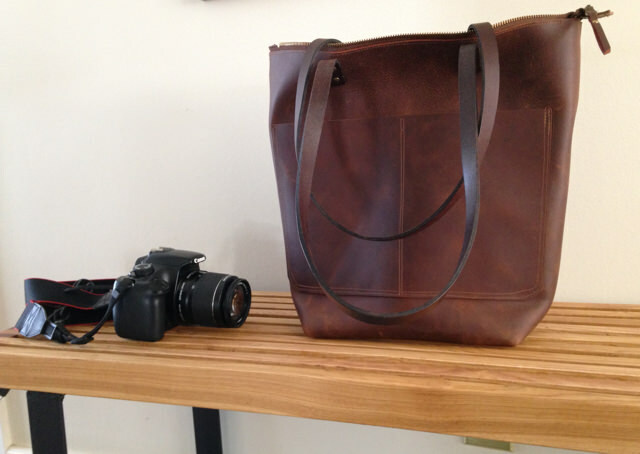 Here is the new Essential Tote, the third in the series of these beautifully simple bags. It is made of the most beautiful leather and is designed to let the leather make the statement. 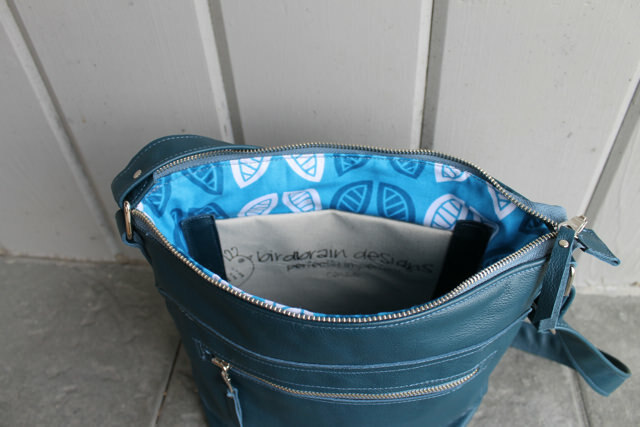 It is unlined with two large pockets on the front and another leather pocket inside with a birdbrain leather label. 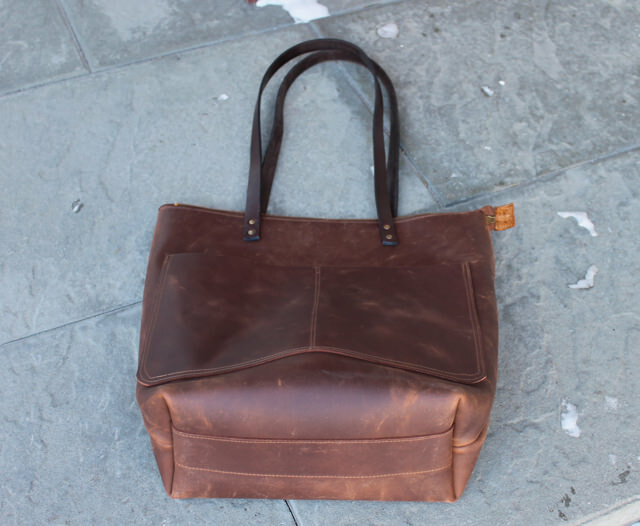 It has chocolate finished leather handles with a 13″ drop, fitting comfortably on your shoulder or in your hand. 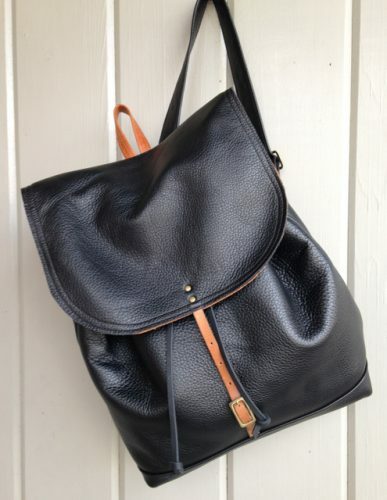 There is a sturdy metal zipper closing, double leather bottom and reinforced seams. Width 15″ Height 13.5″ Depth 5″ . Available in the on-line shop. First off I want to say thank you to my son Owen for updating the blog and giving it its new crisp appearance. The menu is now accessible from all devices, so you can link to the online shop, my instagram or either of the galleries from your phone or tablet. 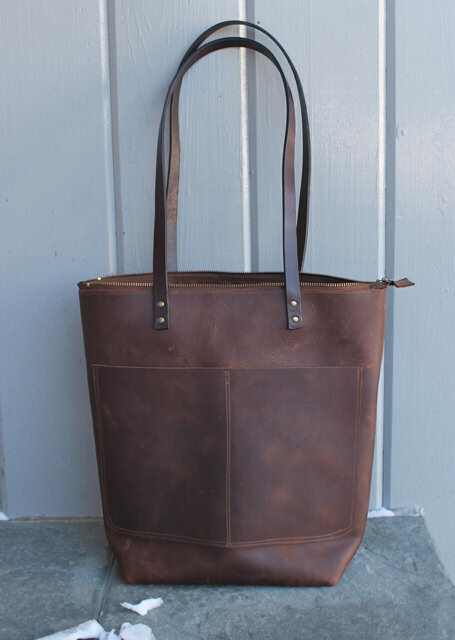 And speaking of the on-line store, the green Keller bag featured to the right is available in the store and two more leather art totes like this will be there shortly. I am finding mine terrific for toting around my sketching supplies and other essentials. I’ve also been out sketching. 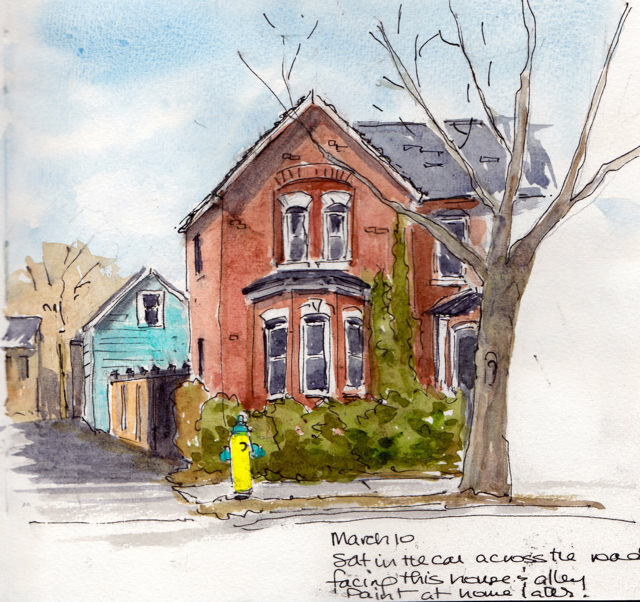 Below are a couple of local brick houses which I’ve sketched from the car. It’s once again bitterly cold in southern Ontario, but the sun is bright and it’s hard to resist those shadows. 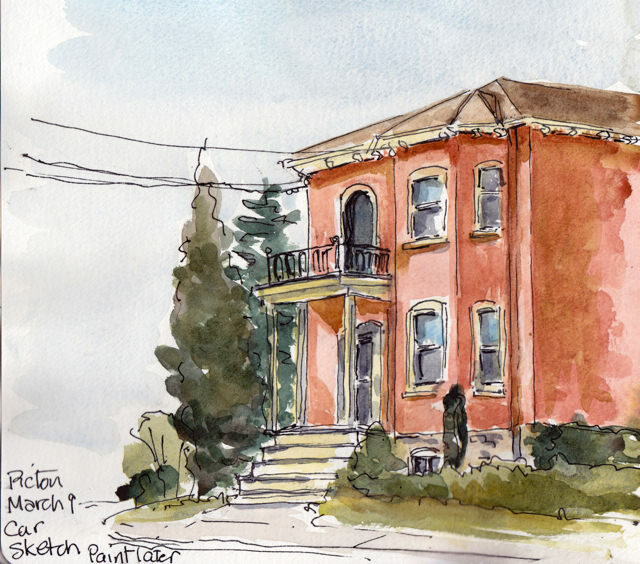 The first house is in Belleville, the second a short drive away in Picton. 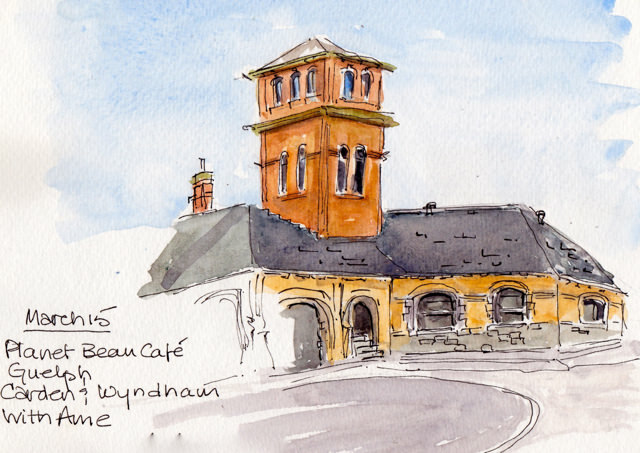 I managed to get the sketches done in the car–but have to admit I added the paint back at home in the warmth of the house. This is the next piece of hooking in the series inspired by Dutch artist, Ton Shulten. 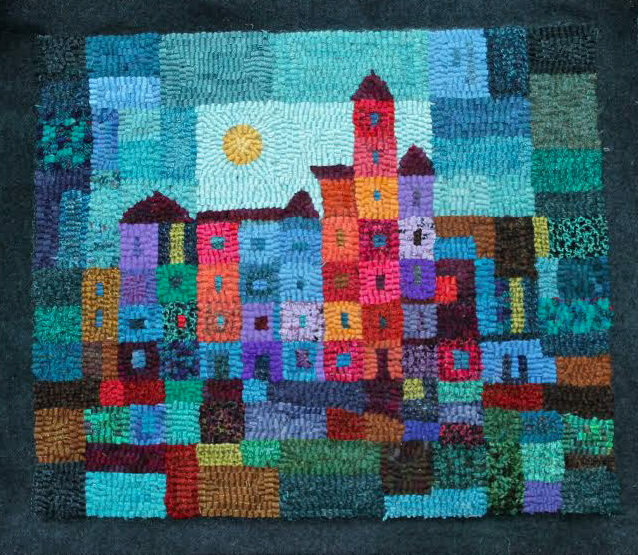 This is 12″x14″ and will be a pillow. 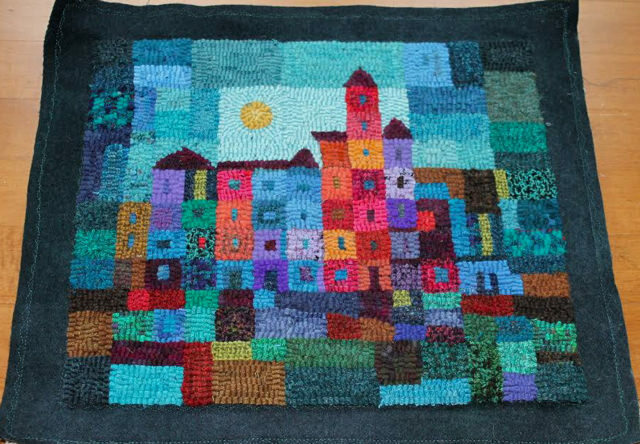 You can see the wool frame around the outside that I sewed on to the linen before hooking in the hopes that pillow construction will be smooth. I find this a challenging and addictive kind of hooking, each rectangle affecting and transforming the others. Lights/darks, dulls/brights, warms/cools. I’m already designing the next. 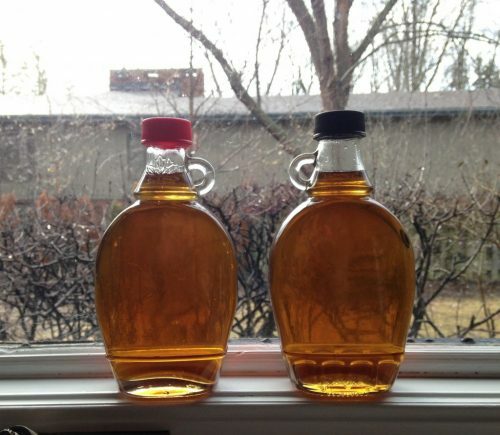 It’s very early for maple syrup, but with the spell of unseasonably warm weather in Ontario the sap was running. We had barely finished drilling the trees and hanging the buckets when the sap started pouring. Here are two bottles which made their way into our pantry. A welcome sweetness. 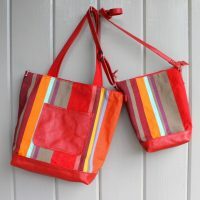 And here is a new bag for Spring. 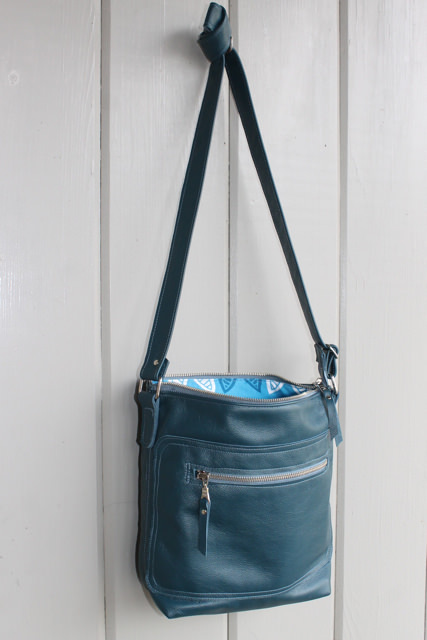 This Keller bag is made of durable teal blue pebbly leather, upholstery grade. 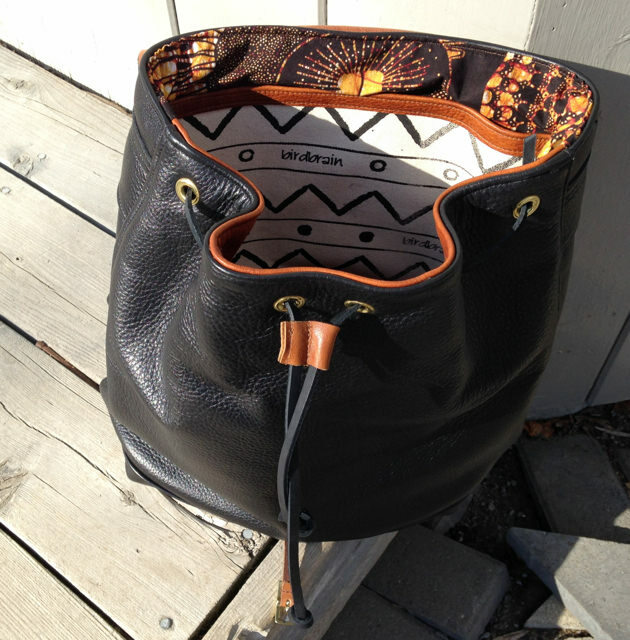 The bag is 10.5″ tall, 12″ wide and 4″deep. 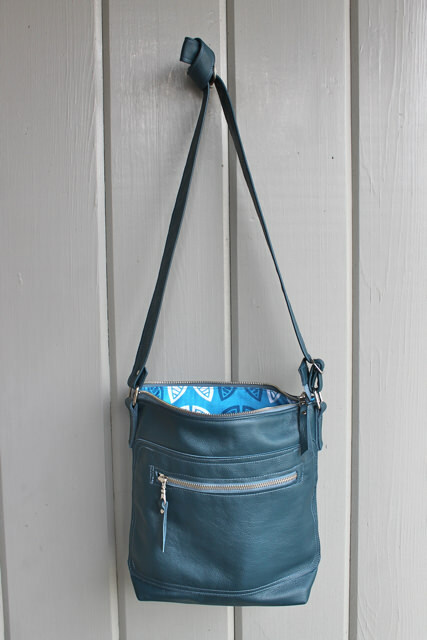 Like all Keller bags, it has a zipper closing, an adjustable cross-body strap, an exterior zipper pocket and two pockets inside. 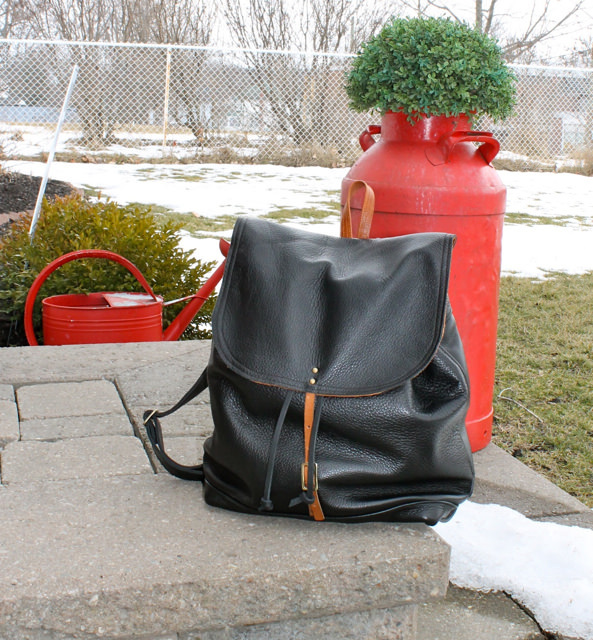 This is a great day bag, large enough to carry your ipad and other essentials.